I get randomly hooked on sewing and have to sew a whole pile of things before I get back to my cross stitch or something else. 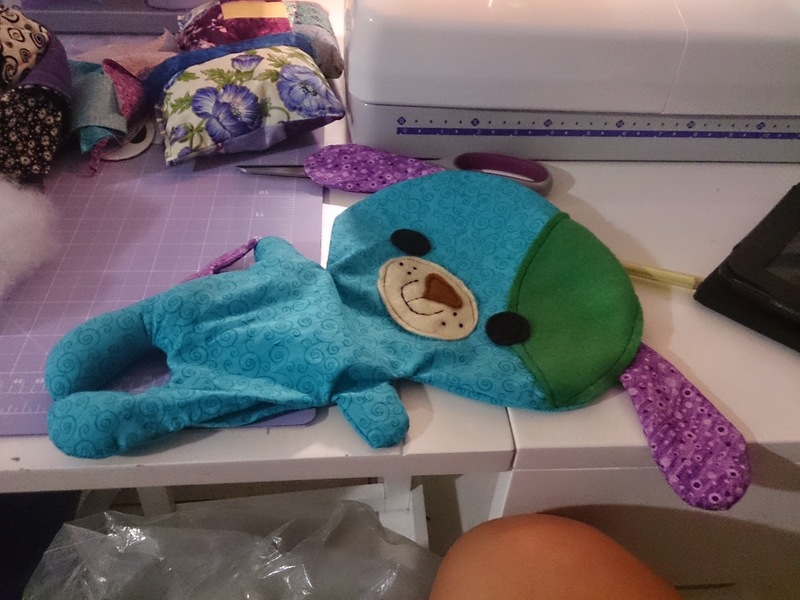 I also go through many stages of being hooked on Funky Friends Factory patterns. I love her soft toys. I find each time I make one of her patterns the instructions are so easy to read. I was avoiding going to the craft show this weekend, my favourite cross stitch fabric store wasn't there :(, but I still treated myself to one new pattern. Then I spent most of the weekend sewing on it. These little guys have caught me at the moment. 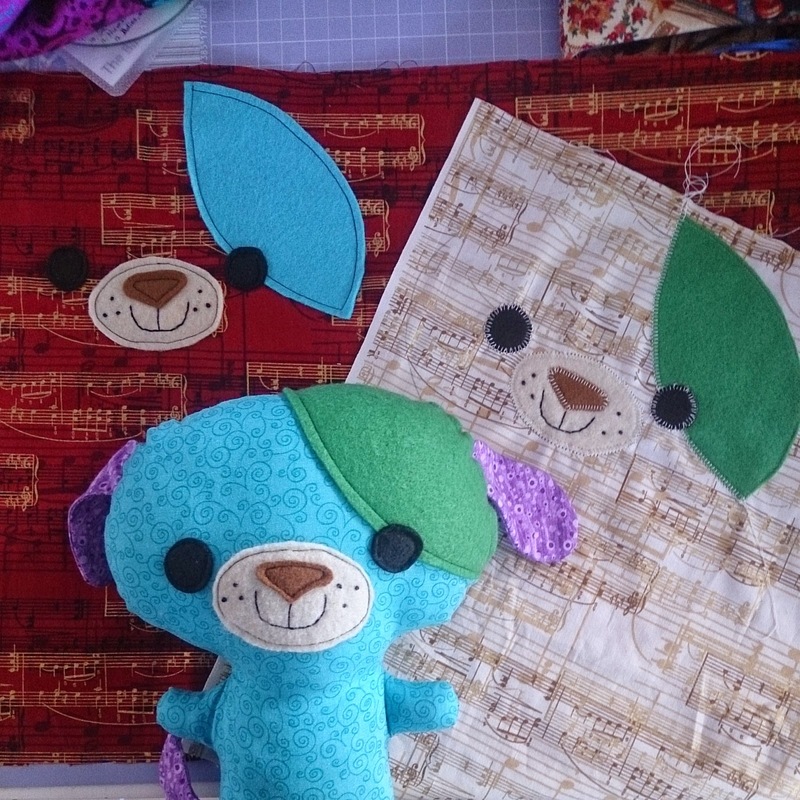 They are part of the Kawaii Kuties series of patterns. This little guy is the dog. 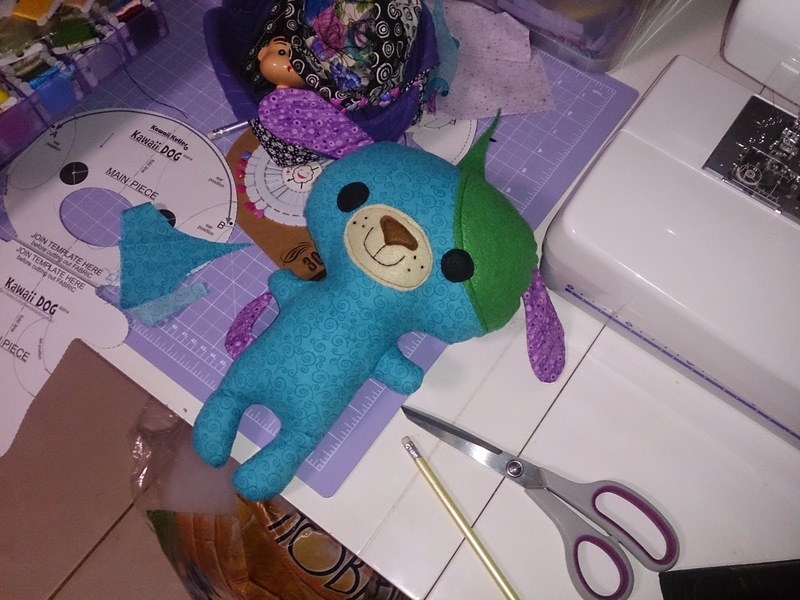 I started sewing this dog on Saturday morning and by Saturday evening I was finished. That was with being distracted by a softball game and other fun stuff like that. That was Saturday.... by Sunday morning I had another 2 faces done ready to cut out. I had some fun with my machine and explored the blanket stitch appliqué. I was really excited by it and I learnt a lot about getting my machine around the corners. I'm not sure whether I will use the blanket stitch again but I so really like the effect. You can see the awesome blanket stitch up close :D I need to work on it, my machine detail stitching always needs work, but practice makes perfect. 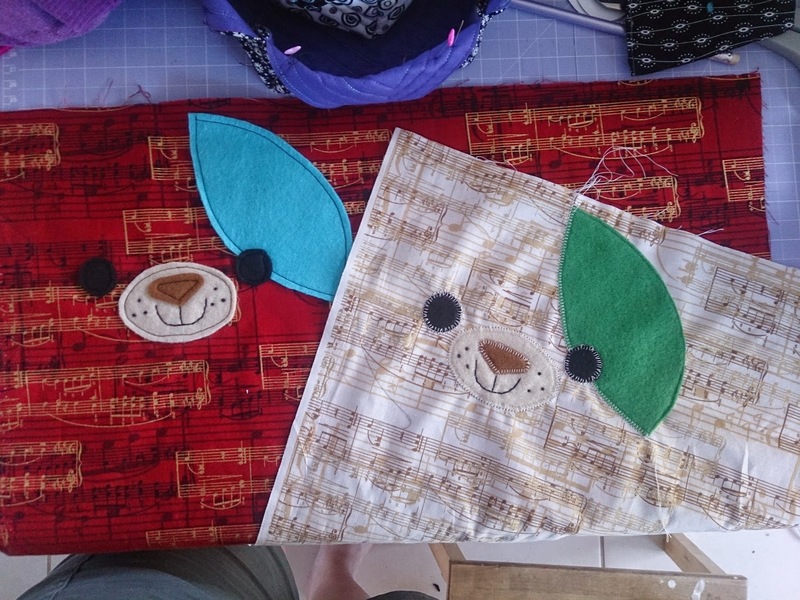 I used a couple of the music fabrics that I bought a while ago because when these two dogs are done I will donate them to my orchestra to raffle off. 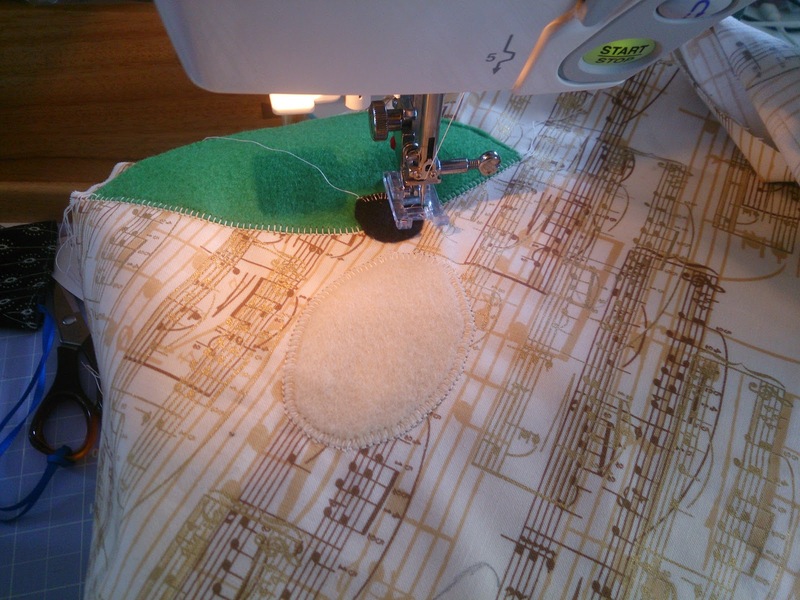 I thought it would be appropriate to sew with music fabrics. What a cute dog Caitlin.